Sister Hanxiao, don’t upset yourself. About this question, I think the main reason is that we didn’t grasp the principles of prayer. As a matter of fact, many times when we prayed to the Lord, we just said what we wanted to say to Him. We thought we have prayed, but we didn’t know whether such prayer was approved by the Lord. Just like we contact with others: If we want to talk to somebody, we need to first have some knowledge of him before we know how to have normal communication with him. Otherwise, an idle or rambling talk is very likely to be counterproductive. Actually, there are three major aspects to a true prayer. As long as we put more effort into these aspects and pray according to them, we will surely receive the Lord’s answer. First, in Praying We Need Seek God’s Will in God’s Words. Colossians 3:16 says, “Let the word of Christ dwell in you richly in all wisdom; teaching and admonishing one another in psalms and hymns and spiritual songs, singing with grace in your hearts to the Lord.” So, the most important thing for us followers of the Lord is to focus your efforts on God’s words and pray-read them with our heart. When we know God’s demands of us and God’s will in all matters, we should practice and pray in accordance with His intentions. Only in this way can our prayer be listened to by the Lord. If we make a pointless, rambling prayer or a casual prayer, the Lord will not listen to it. Because in it there is no fear of God. Just as we talk to a person who is held in the greatest esteem, we need understand his thoughts before we communicate with him, but not talk to him only according to our own thoughts. So, if we fear God, our prayer should be based on the understanding of God’s words. That is, we should seek God’s will and what He actually wants to achieve in us from the situation and difficulties we meet. When we understand His intentions in His words and then pray to Him, He will listen to our prayer. Just as the Bible says, “But seek you first the kingdom of God, and his righteousness; and all these things shall be added to you” (Matthew 6:33). Second, When Praying, We Need Use Our Heart and Integrity to Worship God. John 4:23-24 record, “But the hour comes, and now is, when the true worshippers shall worship the Father in spirit and in truth: for the Father seeks such to worship him. God is a Spirit: and they that worship him must worship him in spirit and in truth.” This is very crucial, too. If we want our prayer to be approved by the Lord, we should have an honest heart and should quiet our heart beforehand. Because when we pray to God is also when we worship God. On the one hand, before we pray to the Lord, we can read His words to understand His will. Then, we can pray to Him according to what He actually wants to achieve in us and His current will. In this way, we will receive the Lord’s answer easily. This is also a way to use our heart and honesty to worship God. On the other hand, when we pray, we should seek how to speak reasonably, how to not make empty, big talk, or casual vows, or blindly demand from God as if we are His creditors. Such kinds of prayers can’t receive God’s answer. If our prayer is to please the Lord when we don’t know His will, we should quiet our heart and speak the words within our heart to God but should not hide our thoughts; we should have a seeking and obedient heart but should not ask God to change our practical environment. This way, our prayer can get the Lord’s answer easily. He will enlighten and guide us to know His will in the things we meet, because He sees our honest heart. Third, We Should Have Faith in the Lord for There Is a Time for His Enlightenment. Sister Hanxiao, let me share my recent experience with you. I also lost my temper without any reason at home and focused on my husband’s faults. I thought I was busy with my work all day long, but my husband neither cared for me nor helped me do housework, so I was very angry. Later, I prayed to the Lord, “Oh Lord! I don’t know what You are teaching me in this environment, and which truths I should live out. I am angry, and what I see are all my husband’s faults. What should I do? Lord, please enlighten me. I’m willing to act according to Your wishes.” After my prayer, I thought of the Lord Jesus’ words: “And why behold you the mote that is in your brother’s eye, but consider not the beam that is in your own eye?” (Matthew 7:3). “For if you forgive men their trespasses, your heavenly Father will also forgive you” (Matthew 6:14). I suddenly realized: God doesn’t like me focusing on my husband’s shortcomings, but asks me to learn to know my lacking and forbear and forgive others. But I fixate my eyes on my husband, thinking that it is wrong of him to give me little care. Therefore, I have lived in Satan’s fooling. Actually, my husband is also tired due to working overtime. I just want him to care for me rather than think about how to care for him. This thought is from Satan’s selfish nature. After knowing this, I made a prayer of submission to God, “Oh Lord! Now I understand it was not my husband’s fault but my fault, and that I was unreasonable in having too many demands of him. I’m willing to act according to Your will, tolerating him and not finding fault with him. May you give me faith and strength to practice the truth.” Amazingly, after I prayed like this, I had confidence to tolerate my husband and the complaint and discontent all disappeared. I finally know a true prayer born of the Lord’s words is very important. How to Pray for Healing So God Will Listen to? 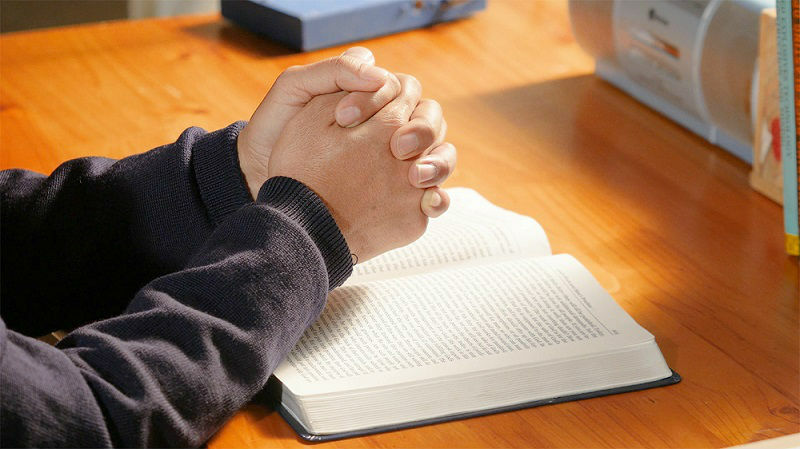 By Yuhua, China One day, I sought from one of my friends, who believes in God, about the matter of prayer: “Many times when I pray to God, I cannot see the leadership and guidance of God, nor do I know how to pray in a way that conforms to..